Perfectly polished with a hint of pizazz, our Mini Parker watch showcases sparkling pavé stones and a luxe mother-of-pearl dial. 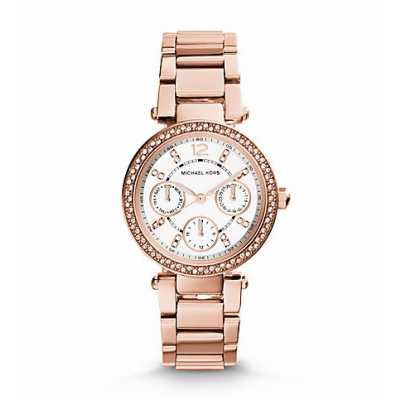 The brushed rose gold-tone bracelet finishes this accessory with plenty of versatility. Wear it around the clock for a chic finishing touch.